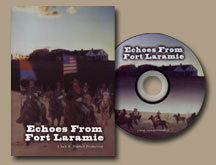 Ft. Laramie started out as a fur trading post and ended up as a army post. For over 6 decades it provide a haven of safety for the hundred of thousands of westword travelers. Every famous person of the old west (except Custer) passed through its gates, Wyatt Earp, Bat Masterson, Buffalo Bill, William T Sherman, Brigham Young to name a few and Native Americans such as Red Cloud, Crazy Horse, Sitting Bull, and Chief Washakie. It was the supply depot for the Oregon, Mormon, and California trails, as well as the cattle drives to Montana via the Bozeman trail, an overland stage and Black Hills stage stations, Pony express station and a telegraph office. It was the hub of western expansion and most of the old west history passed through this site on the wind swept plains of Wyoming. This is the tragic story of the ill fated handcart parties that started across the plains to Sal Lake city late in the summer of 1856. Early winter storms set in, trapping them in Wyoming. Starvation, sickness, and exhaustion plagued them through the wind swept plains of Wyoming. Of the 1,800 that started the trip more than 20% were buried along the trail. But their faith in God and their desire to live near their phrophet Brigham Young keep them moving against all odds. 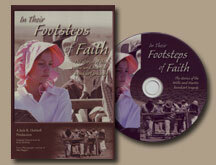 It is a story of faith, courage and endurance that is almost unsurpassed in the annals of the westward migration.